Have you ever wanted to play with a multi-subnet SQL Server configuration for Availability Groups or Failover Clustering with SQL Server 2012 or higher? 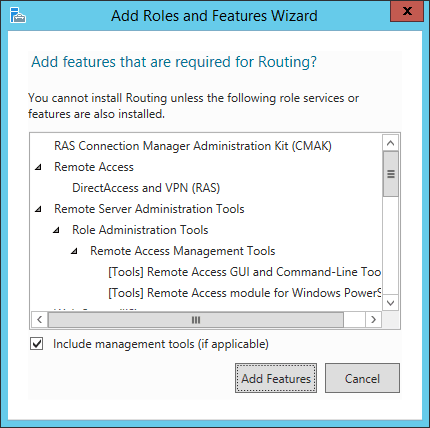 Getting an environment setup to support multiple subnets is not trivial, and a lot of times if you look online for information about how to configure routing for multiple subnets you will find a recommendation to use a Linux based VM separately as a router/appliance to handle the routing. 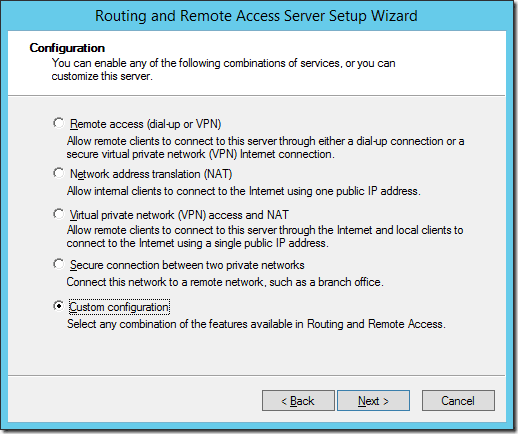 In this blog post I’m going to show you how to setup a virtual environment with a single Windows Server 2012 R2 server that performs the role of Active Directory Domain Controller, DNS server, DHCP host, and as a router for multiple subnets as the basis for a multi-subnet virtual environment for testing and playing with multi-subnet configurations for SQL Server 2012 and higher. 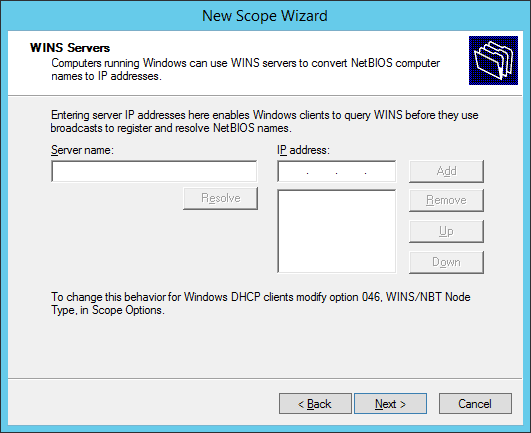 I am building this environment in VMware Workstation 10, but the same configuration can be performed under any hypervisor that supports multiple virtual network configurations, once the host configuration of the virtual networks has been appropriately configured. 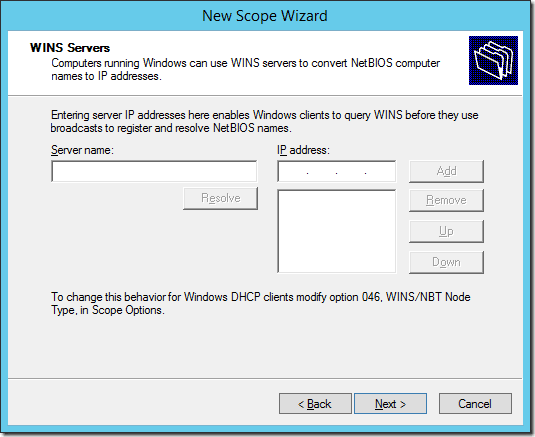 VMware Workstation makes this configuration very easy through the Virtual Network editor that is included as a part of the VMware Workstation implementation. 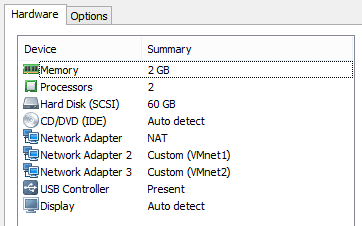 For the initial VM setup, I created a VM with 2 vCPUs and 2GB RAM and then edited the settings to change the virtual network adapter settings to add two new network adapters to the VM. 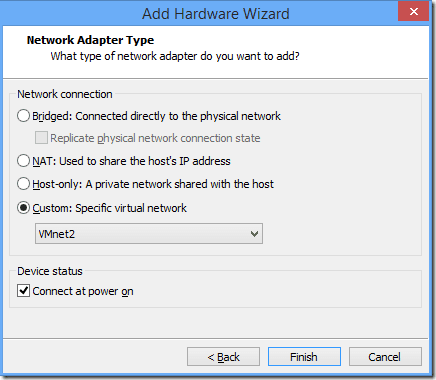 The default setup includes one virtual network adapter for NAT, so I am going to add one network adapter on VMNet2, then add another adapter on VMNet3 as shown below. 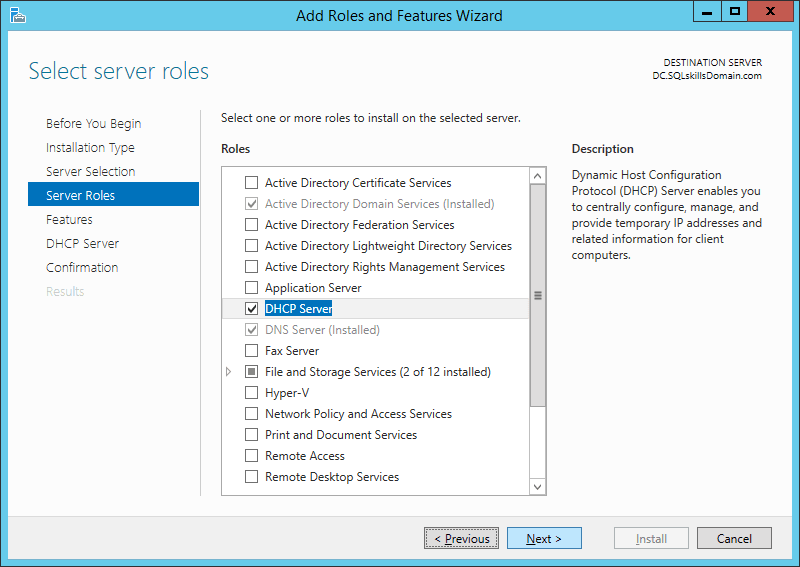 Now we can install Windows Server 2012 R2 and setup our basic server configuration. 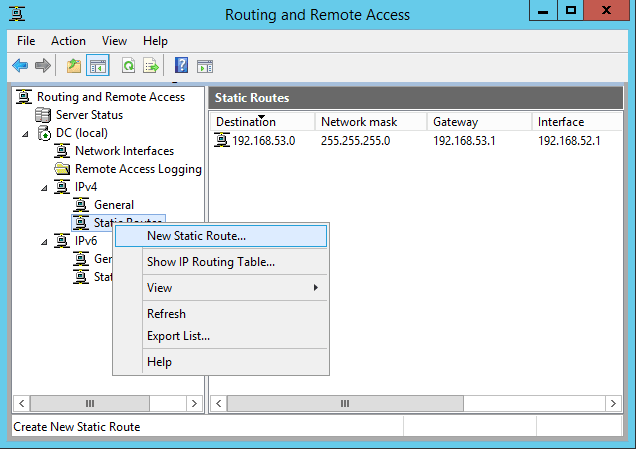 In this case I’ve changed the name of the server to be DC, and set static IP’s to each of the network adapters, 192.168.52.1 for VMNet2, and 192.168.53.1 to VMNet3. To properly identify each adapter, you can edit the VM settings and disconnect them one at a time so it shows Network cable unplugged for the network connection. 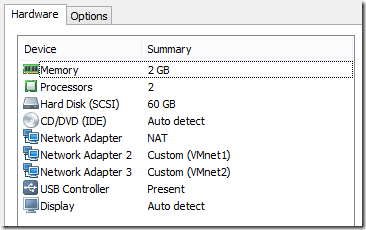 I usually set the NAT adapter to disconnected unless there is a need to have the VM connected to the internet through the host internet connection for some reason. 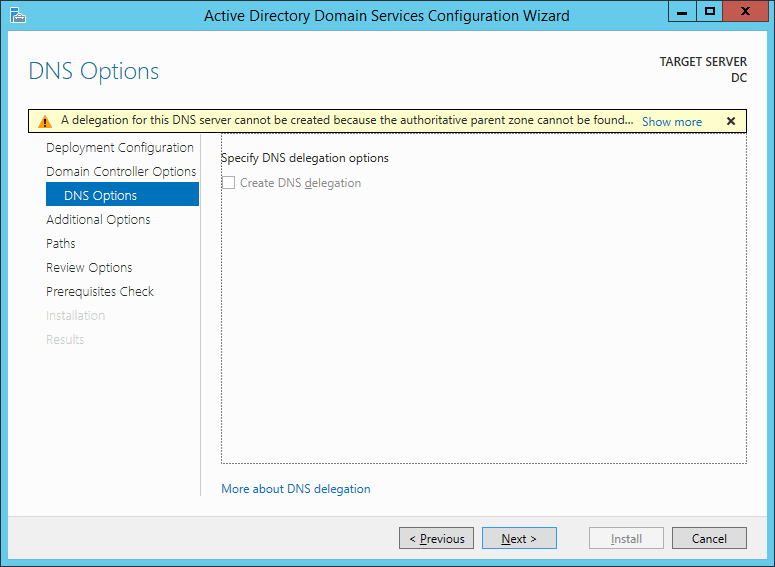 Once this has been done we can proceed to setup the server as our Active Directory Domain Controller, DNS server, DHCP host for the networks, and as a Router between the two subnets. 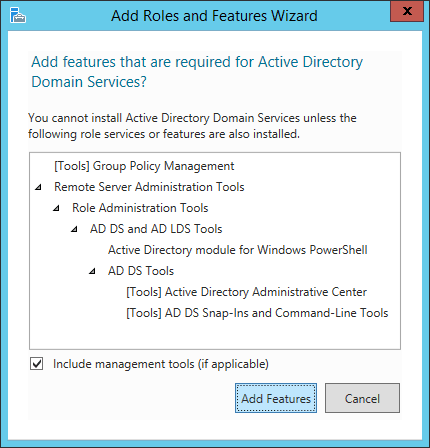 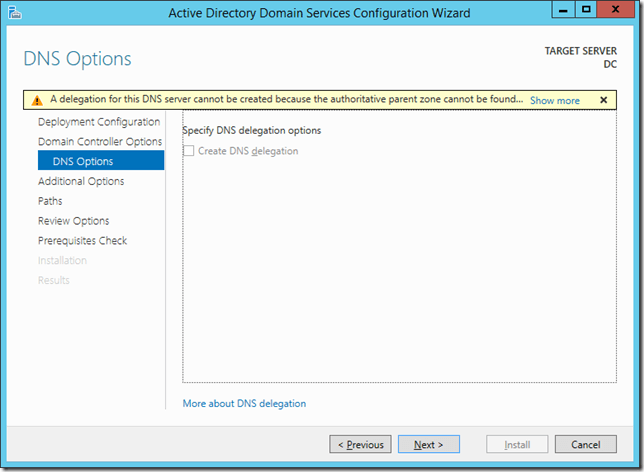 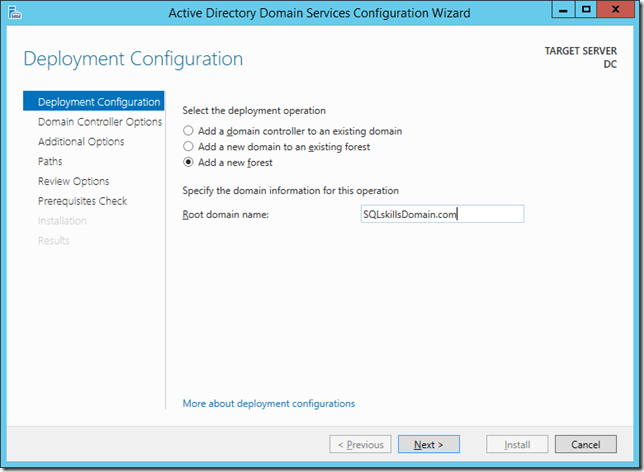 To setup Active Directory Domain Services, open the Add Roles and Features Wizard, and then check Active Directory Domain Services as a role for the server. 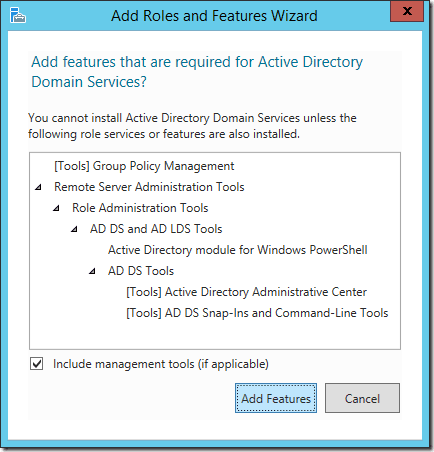 It will open a popup window shown below to add additional features required by Active Directory Domain Services. 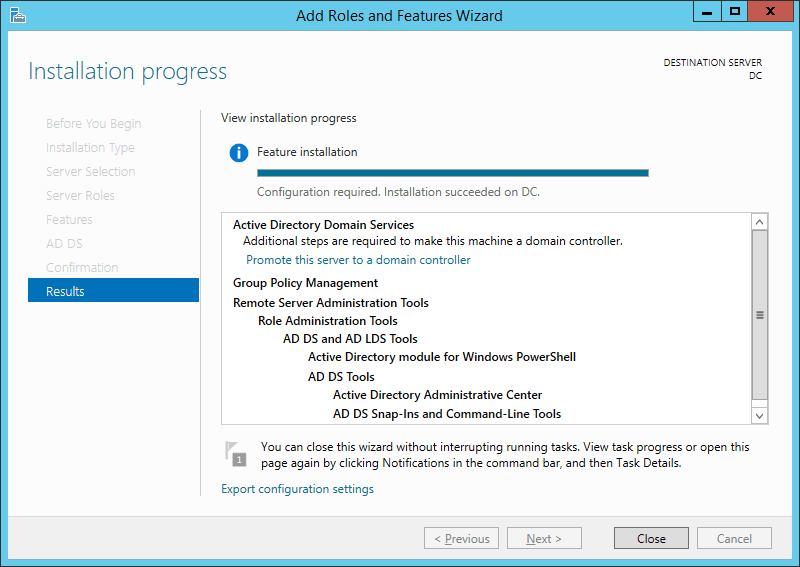 Click the Add Features button then click Next twice followed by the Install button. 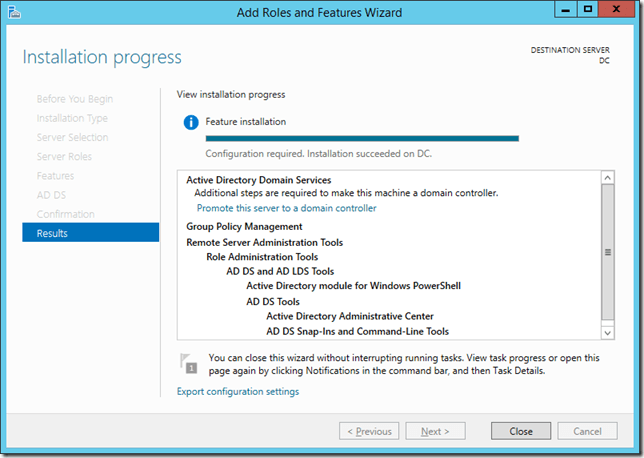 When the installation finishes, don’t click the Close button. 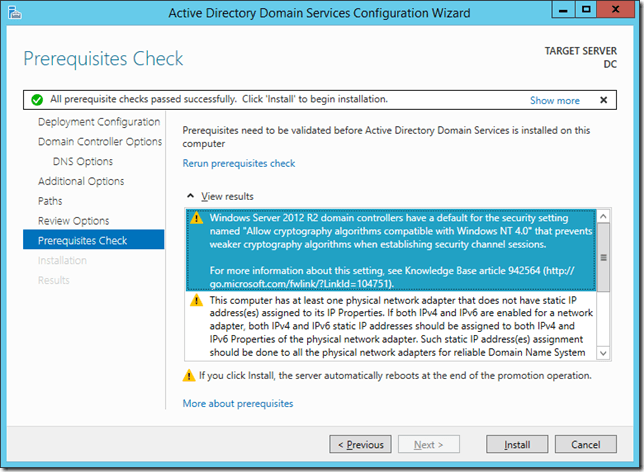 Instead click on the link that says Promote this server to a domain controller to launch the Active Directory Domain Services Configuration Wizard. Click Install and it will finalize the configuration of the Active Directory Domain Services on the server making it a new Domain Controller in the environment. 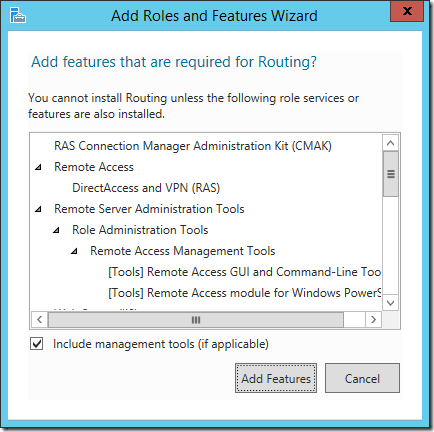 When it finishes Windows will prompt to sign you out as shown below, and then the VM will reboot. Configuring DHCP is not required, but it simplifies creating all the remaining VMs by automatically configuring their network settings based on the VMNet that they have been assigned on the virtual network adapters. 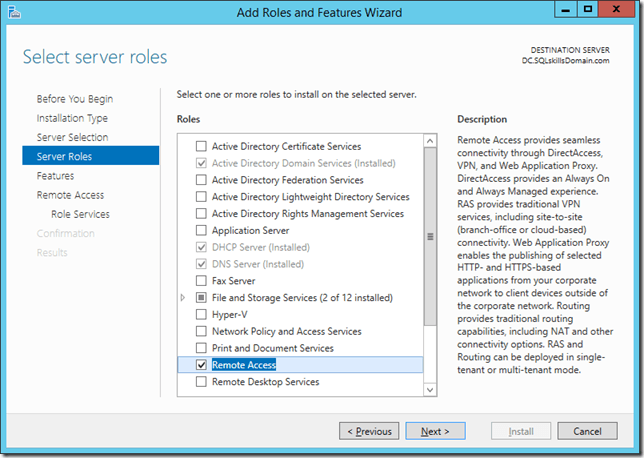 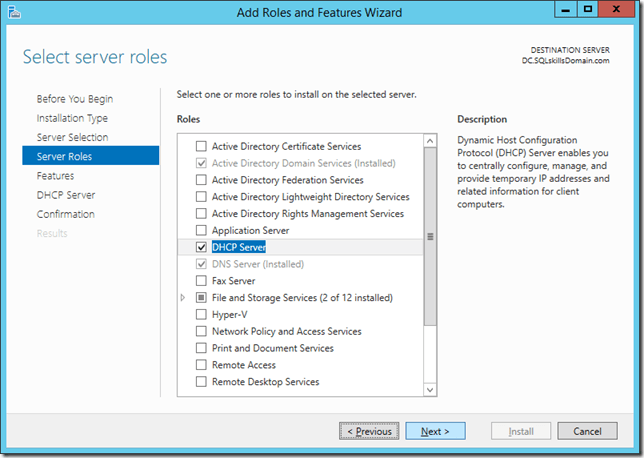 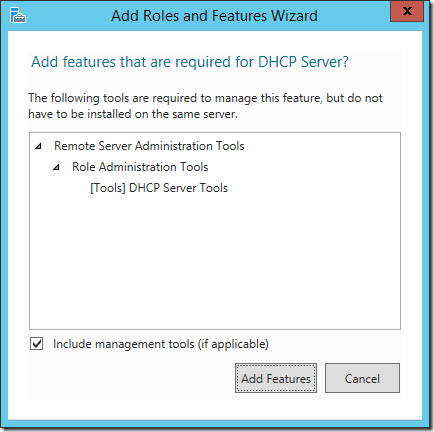 Open the Add Roles and Features Wizard and add the DHCP Server role to the machine. A popup will open with the additional features required and you can click Add Features. 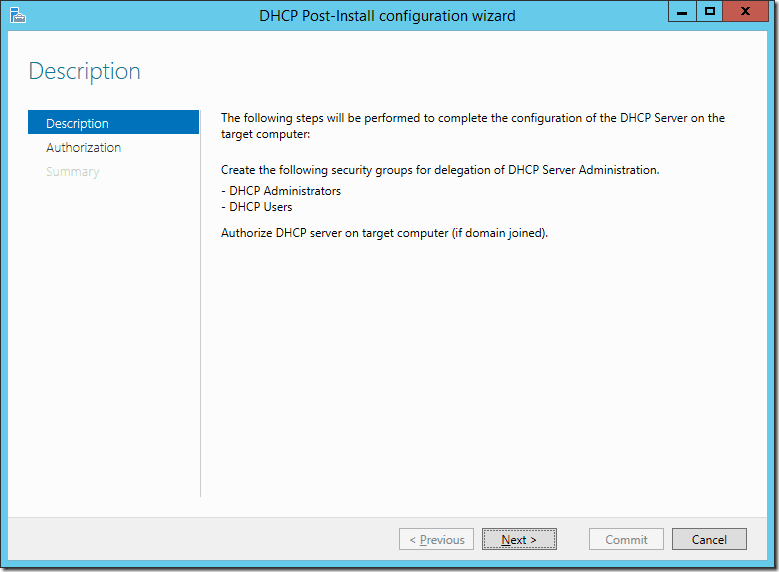 Then click Next, followed by Install and when the installation finishes you can click the Complete DHCP Configuration. If you mistakenly click Close, you can still complete the configuration by opening Server Manager and then clicking on Manageability under the DHCP box. 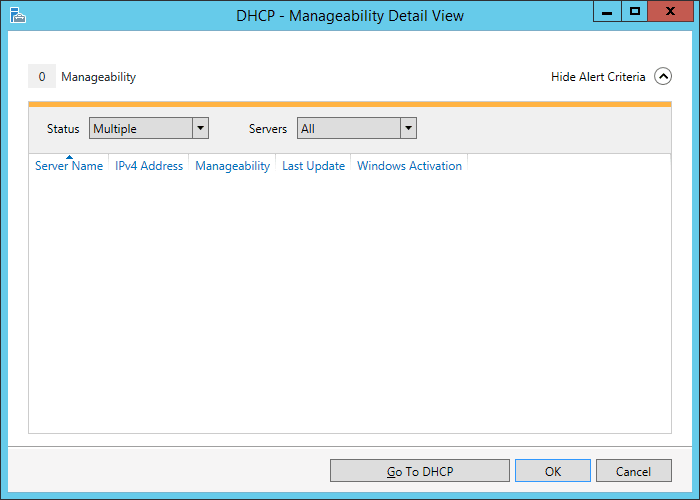 This will open up the Manageability Detail View shown below. 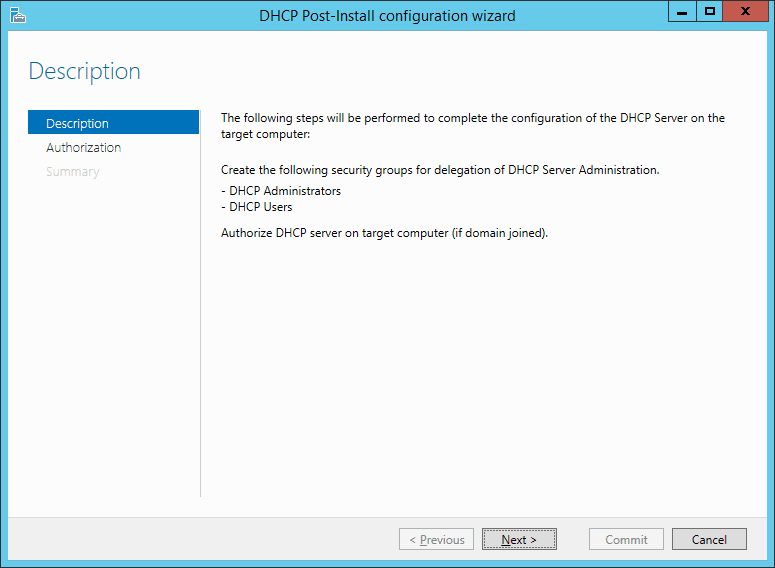 Click the Complete DHCP configuration link. 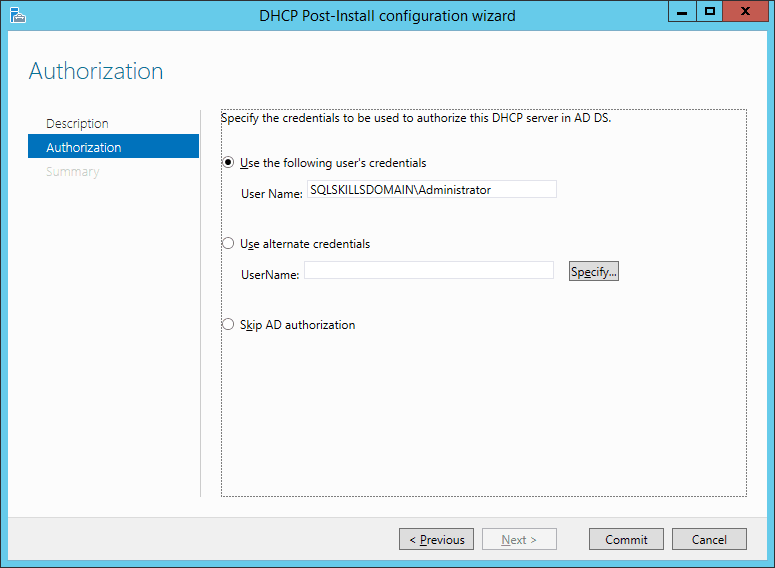 This authorizes the server to be a DHCP host, so now we need to customize the configuration of DHCP. 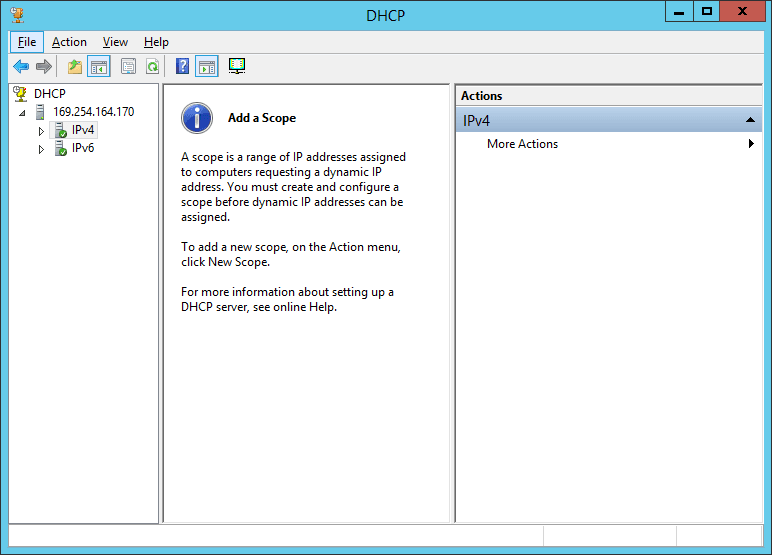 Click the Start button then type in DHCP and open the DHCP console. Right click on the IPv4 and choose New Scope then click Next. I name the scopes by the Subnet they apply to so in this case 192.168.52.x and once we complete this scope a second will have to be made for the 192.168.53.x subnet by simply repeating these same steps and using that subnet for the gateway and DNS server addresses. Set the starting and ending IP address range for the scope and click Next. 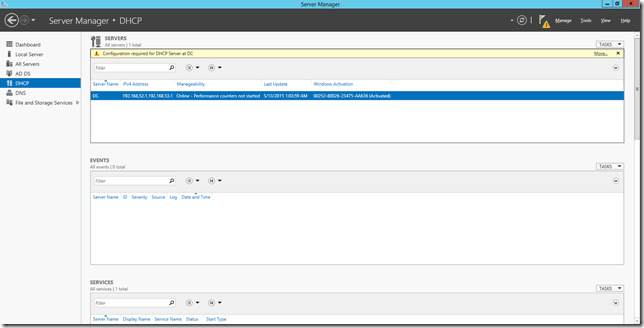 Then click Next on the Add Exclusions and Delay and Lease Duration windows. On the Configure DHCP Options page, make sure it says Yes, I want to configure these options now and click Next. 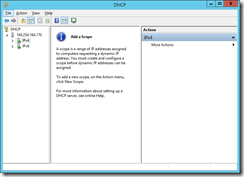 Remove any WINS server IP Addresses and click Next. Then click Next to activate the scope. 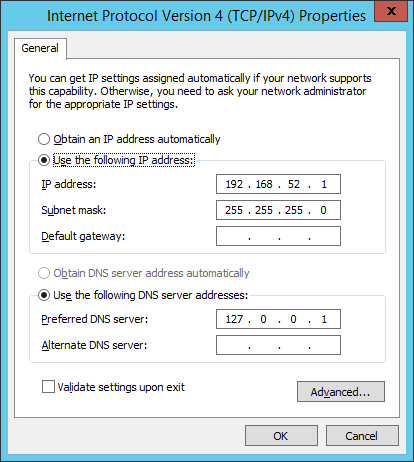 Now repeat these same steps for the 192.168.53.x subnet specifying the 192.168.53.1 address for the router and DNS server and activate that scope. 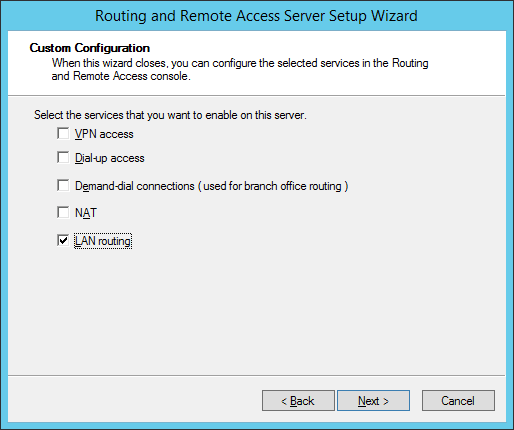 To setup routing between the subnets, open the Add Roles and Features Wizard, and then check Remote Access as a role for the server. 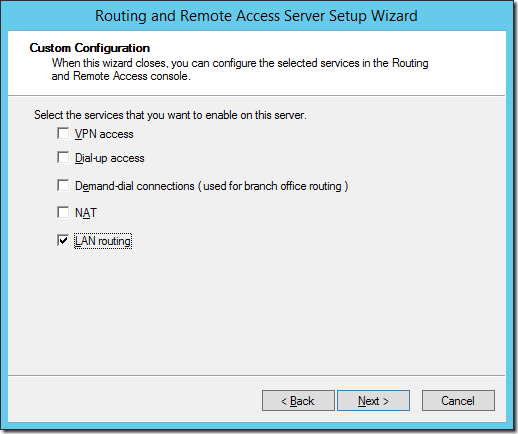 Click Next three times and then check the Routing box. 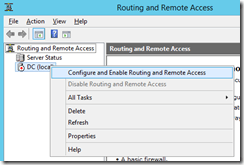 It will open a popup window shown below to add additional features required for Routing. 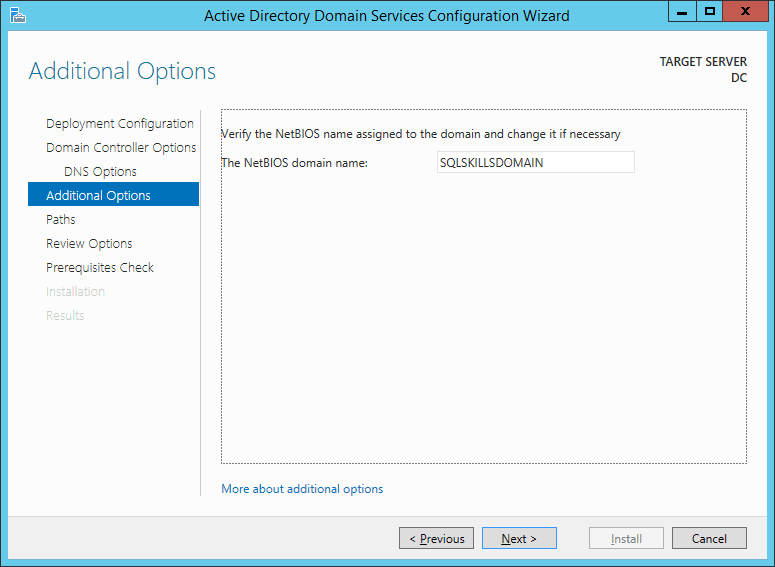 Click the Add Features button. 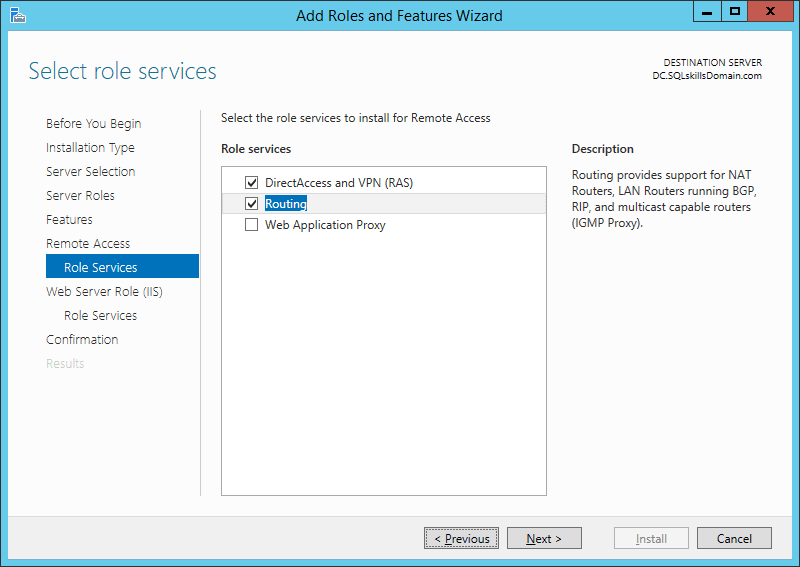 This will also cause the DirectAccess and VPN (RAS) option to become checked as shown below. 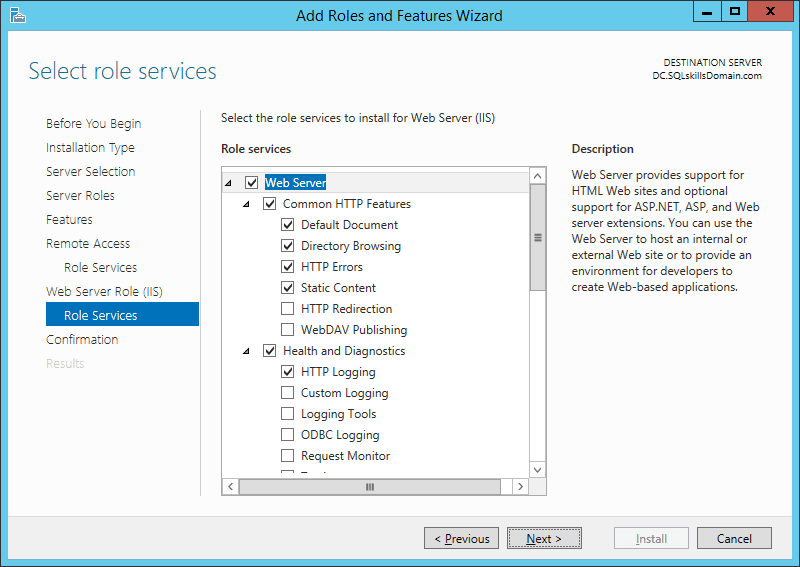 Click Next twice and it will have the addition IIS role services window shown below with the required features checked. 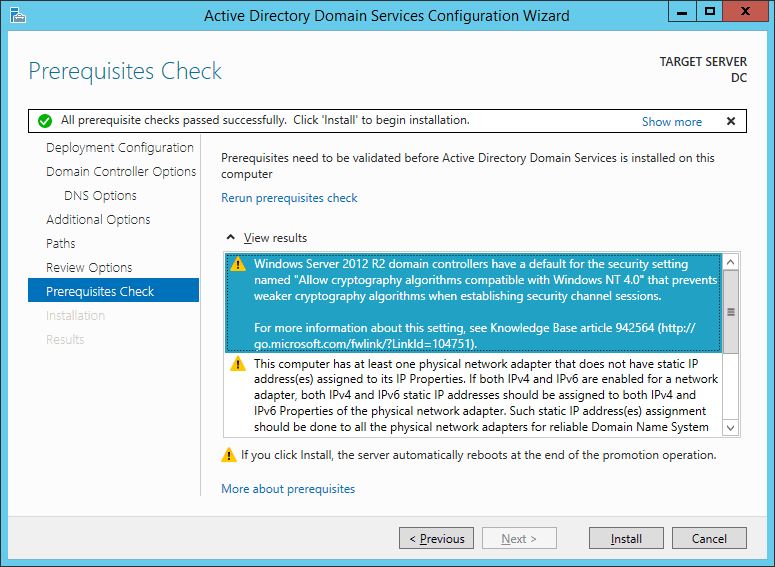 Nothing needs to be changed here, just click Next again, followed by Install to install the Remote Access Role to the server. 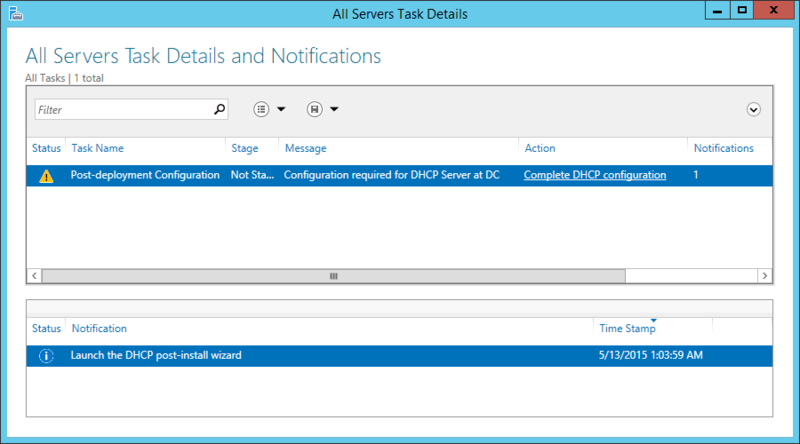 When the installation completes, click Close. 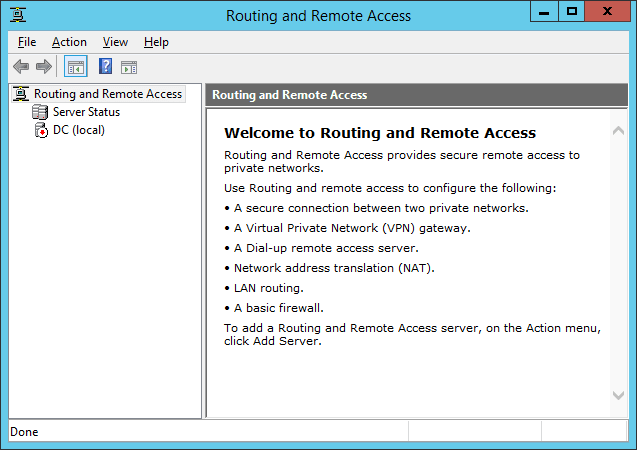 Now click on Start and type in Routing and Remote Access and open the Routing and Remote Access management console. 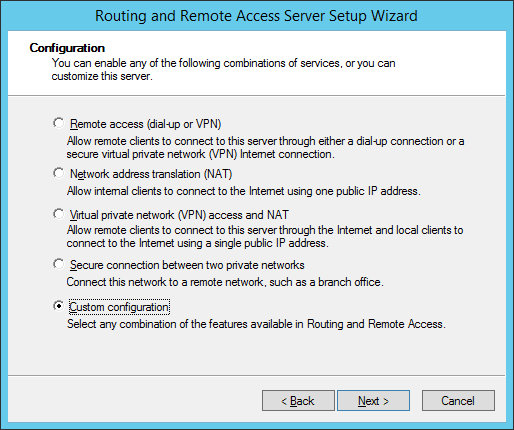 Right click on the server and select the Configure and Enable Routing and Remote Access option. 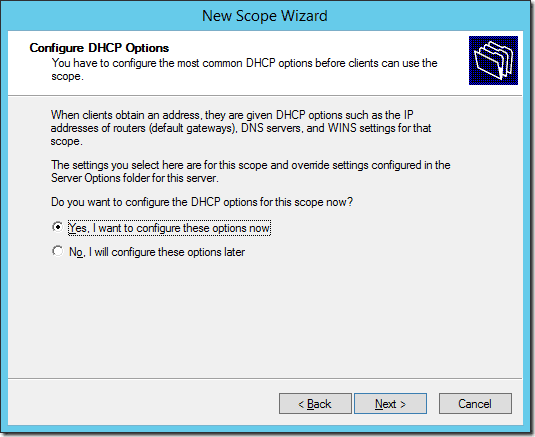 Click Next on the first window then select the Custom Configuration option and click Next. 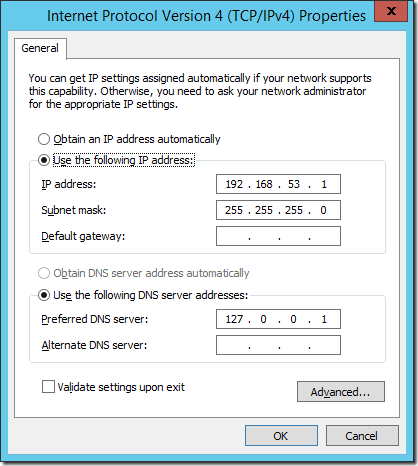 Check the box for LAN routing and click Next. 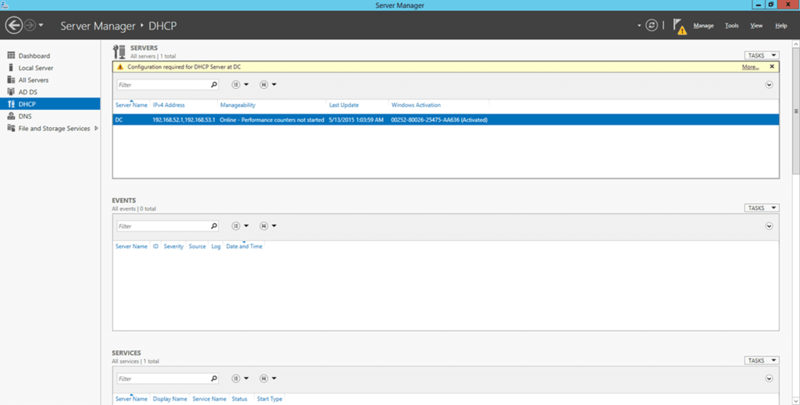 Then click Finish. 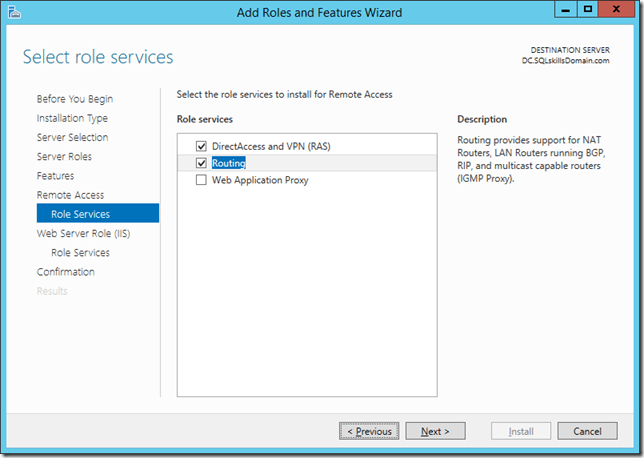 Now click the Start service button to start the Routing and Remote Access services. EDIT: After initially publishing this blog post, Thomas Stringer (Blog | Twitter) pointed out that static routes don’t have to be configured and RIP can be used to simplify the configuration of routing. 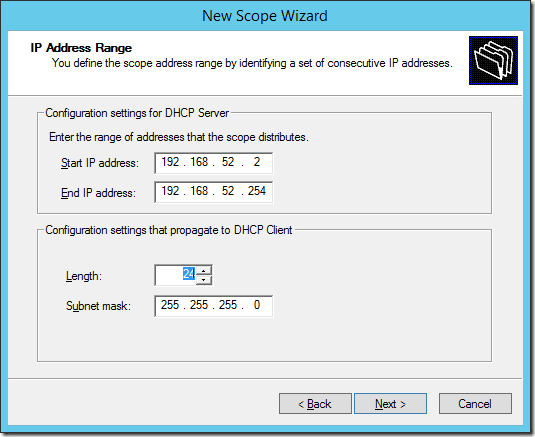 So I am updating this post with the RIP configuration as an additional section. 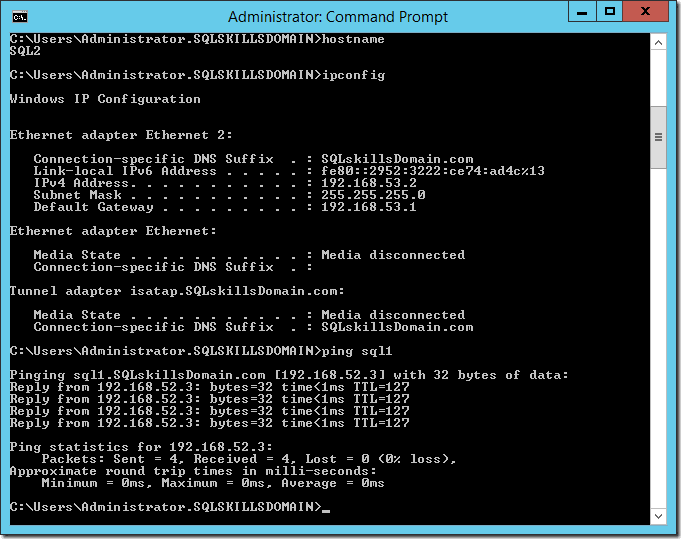 Either option will work but I have to admit that RIP is easier to configure. 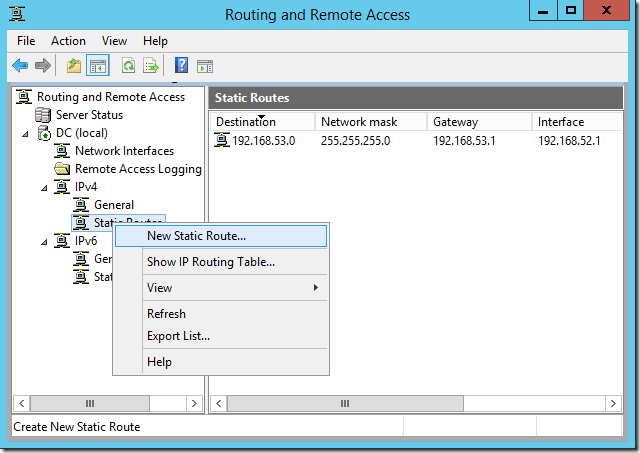 You only need to configure RIP or the Static Routes, don’t configure both options. Expand the IPv4 folder and right click on General and choose New Routing Protocol. 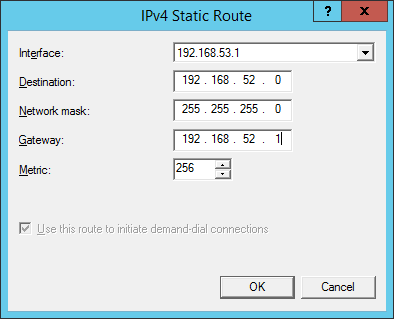 Select the RIP Version 2 for Internet Protocol option and click OK.
Now right click on RIP under IPv4 and choose New Interface. 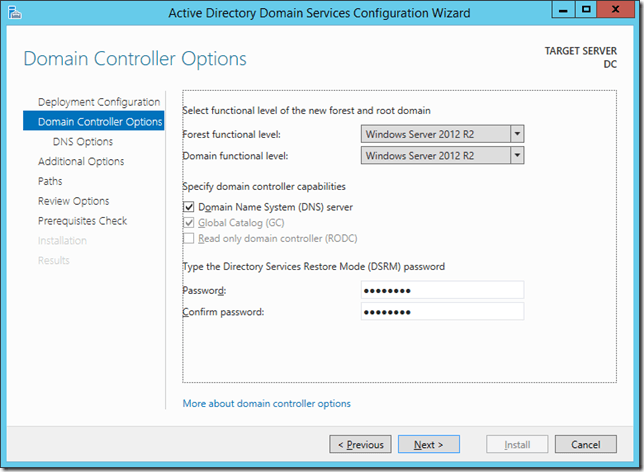 Select the 192.168.52.1 interface and click OK. Select the 192.168.53.1 interface and click OK. Expand the IPv4 folder and right click on Static Routes and choose the New Static Route option. 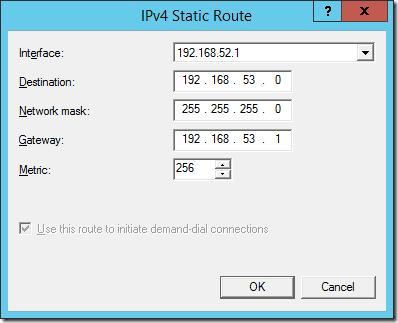 Select the 192.168.52.1 interface and then add a Destination of 192.168.53.0, subnet mask of 255.255.255.0 and gateway of 192.168.53.1 to create a static route between the subnets. Now create a New Static route again. This time, change to the 192.168.53.1 interface and set the Destination to 192.168.52.0, network mask to 255.255.255.0, and the Gateway to 192.168.52.1 and click OK to add the static route between the subnets. 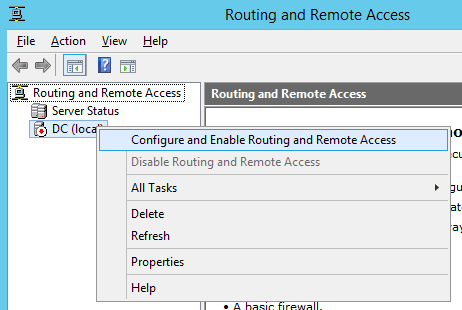 Restart the Routing and Remote Access Services and you’re all set. 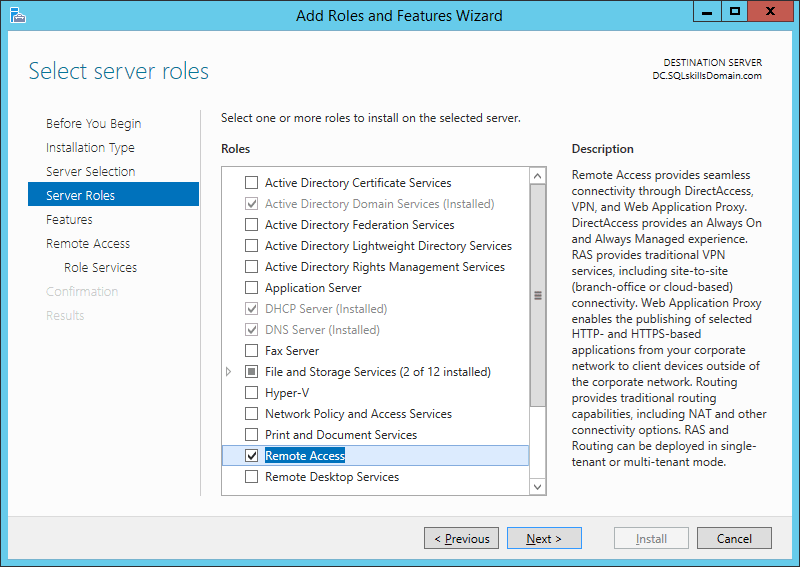 These same steps can be performed in Windows Server 2008R2 and Windows Server 2012, with only minor differences in the configuration of the roles and features. 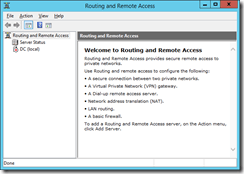 The Routing and Remote Access configuration to provide the routing between the subnets is nearly identical on all three versions of Windows. 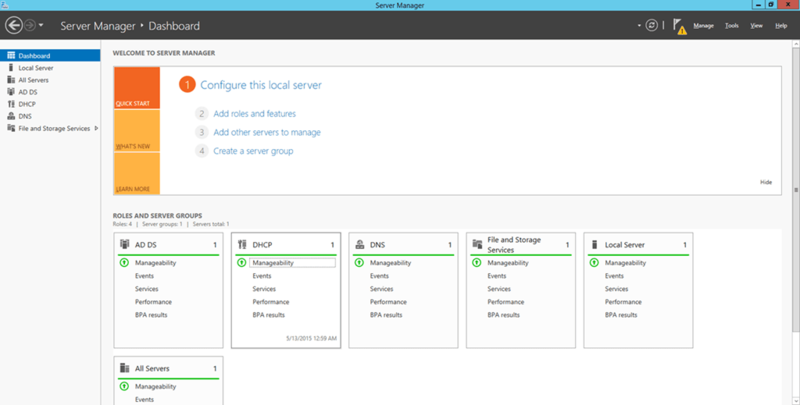 Once the server is configured, the environment can be used to create a multi-subnet Windows Server Failover Cluster for a multi-subnet Availability Group or even a multi-subnet Failover Clustered instance. 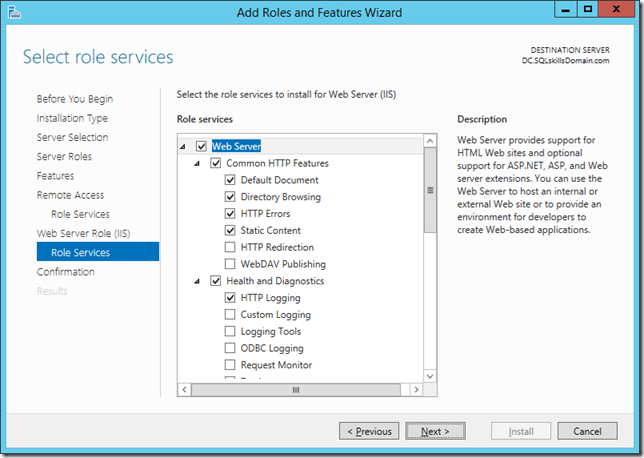 While working on a chapter I am writing, I was going through the ALTER SERVER CONFIGURATION topic in the Books Online and noticed some really useful changes in the syntax that I hadn’t seen before. Starting in SQL Server 2008 R2, ALTER SERVER CONFIGURATION was introduced to allow for process affinity configuration and to replace the affinity mask sp_configure options for SQL Server, which were marked as deprecated at the same time. SQL Server 2012 extends the usage to also control diagnostic logging and failover clustering properties as well. Diagnostic logging in SQL Server 2012 is accomplished through the execution of sp_server_diagnostics, which Joe blogged about last year here and again here. 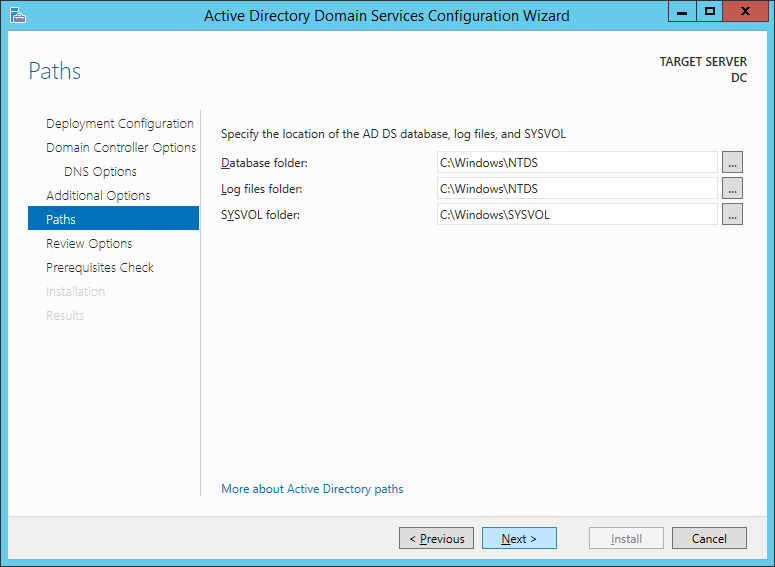 It can be turned ON or OFF using ALTER SERVER CONFIGURATION, and you can also specify the PATH, MAX_SIZE, and MAX_FILES options to control the logging location, file size, and maximum number of rollover logs to be created and maintained by SQL Server. 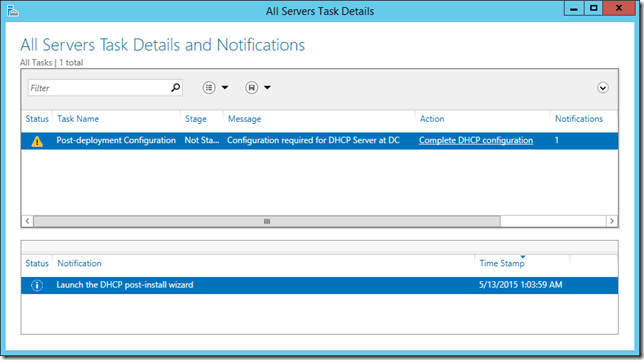 The flexible failover policy in SQL Server 2012 allows for more fine grained control of when a SQL Server Failover Cluster actually performs a failover of the instance. 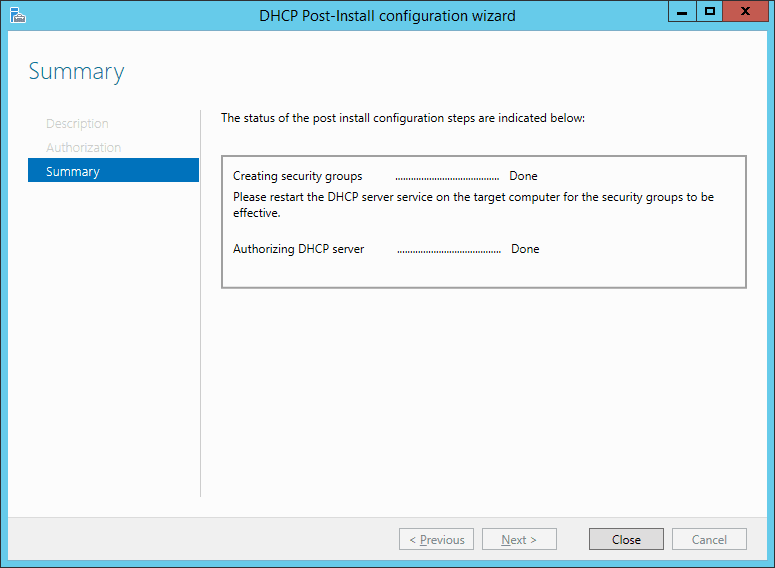 This is accomplished through the execution of sp_server_diagnostics and is based on the output of the health checks being performed by the procedure. 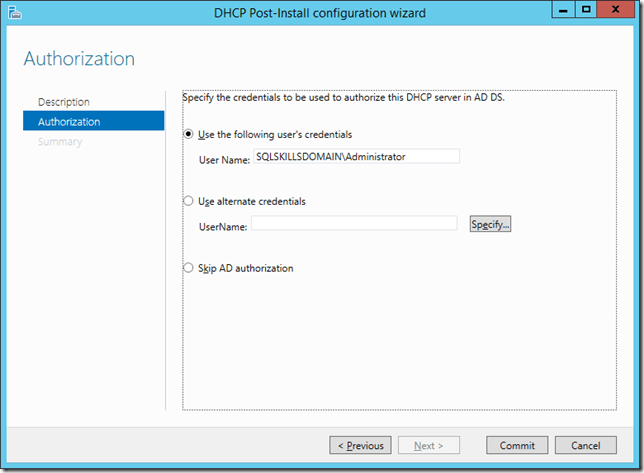 The FailureConditionLevel can be set by ALTER SERVER CONFIGURATION, along with the HealthCheckTimeout value to control when a instance performs a failover or restart associated with an unhealthy condition. 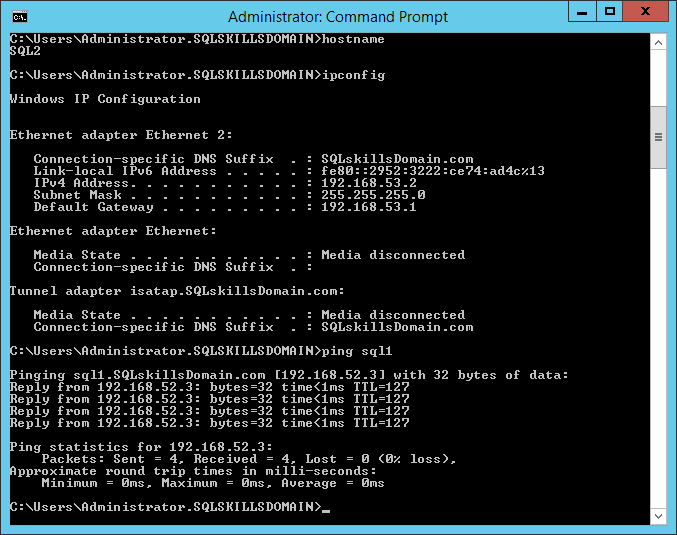 You can also set the logging level for the Failover Cluster, and a number of SQLDumper options as well.